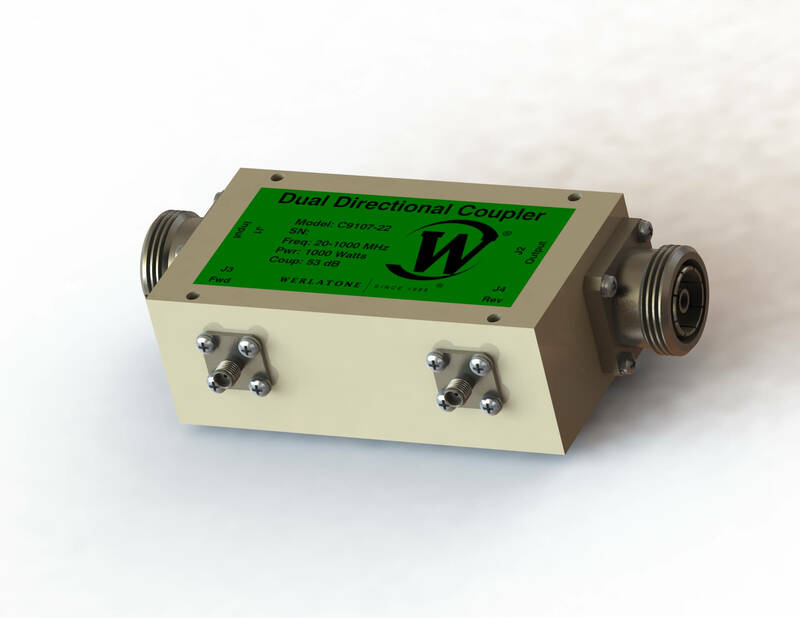 The Model C9107 is a 53 dB Dual Directional Coupler and is rated at 1000 W CW. This high power design covers the full 20-1000 MHz bandwidth, incurs only 0.4 dB of insertion loss, and offers a minimum 20 dB directivity. The C9107 is designed specifically for high power, multi-octave applications.